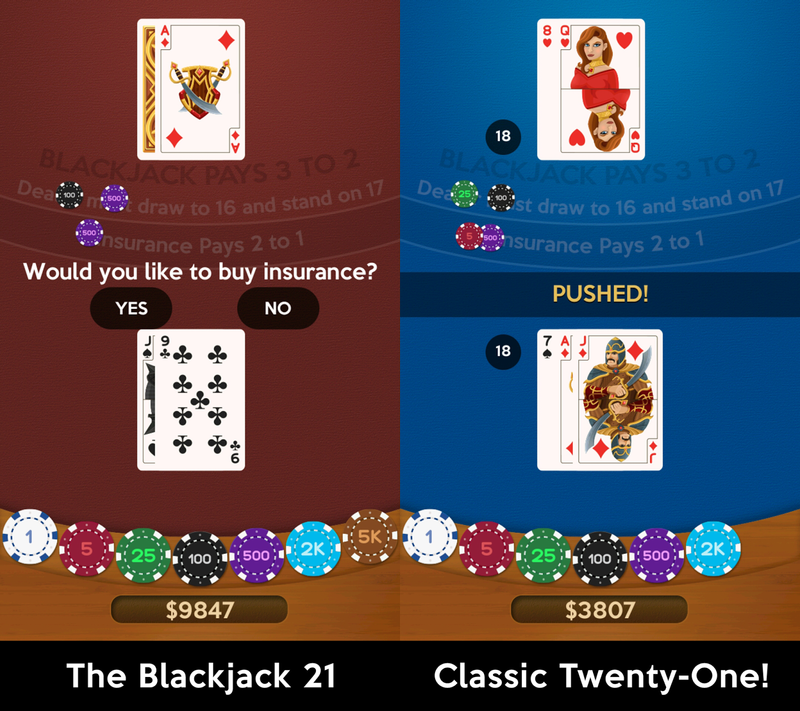 Home » the-blackjack-21 » The Blackjack 21, best classic Blackjack casino game released on Android! The Blackjack Twenty-one is a single-player, offline game that will make you feel like playing in Las Vegas. It is authentic free Blackjack Games on Android. Play now to improve your skills, gain experience, and become the best Blackjack player ever! The Blackjack 21 comes with complete classic blackjack casino features including Double Down, Split, Insurance, and Surrender for an authentic Blackjack experience. Sharpen your skills in Black Jack and enjoy countless hours of fun with unlimited FREE chips. With the new skills you pick up you’ll feel more confident for your next trip to Vegas! 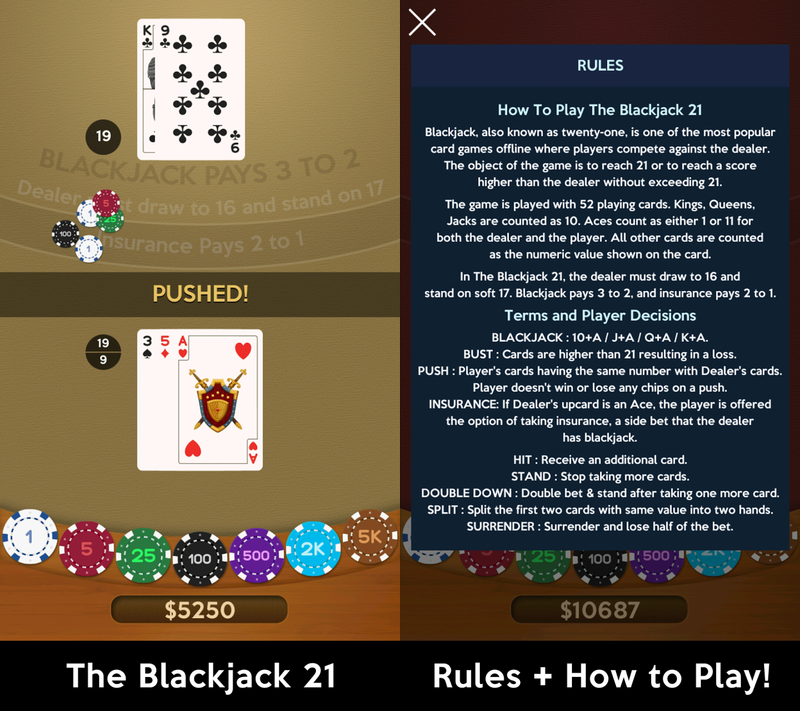 The Blackjack Twentyone card game features a balance gameplay along with an advanced dealer and beautiful user interface that will surely end your long search for blackjack 21 free playing cards games offline. You can play the popular casino game on your mobile device with unlimited chips and without the need of an internet connection. You can play Blackjack 21 Classic offline with unlimited free chips. 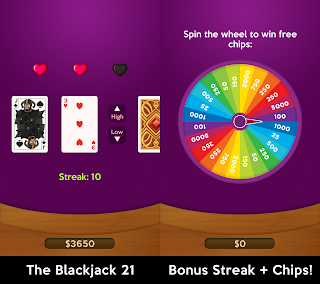 Tap the chips to adjust your bet, and watch the beautifully animated cards fly on the table. Take advantage of advanced blackjack 21 strategies, like splitting and doubling down, to win big on this classic blackjack! Classic Blackjack 21 Rules are simple. Blackjack is one of the most popular card games offline where players compete against the dealer. The object of the game is to reach 21 or to reach a score higher than the dealer without exceeding 21. 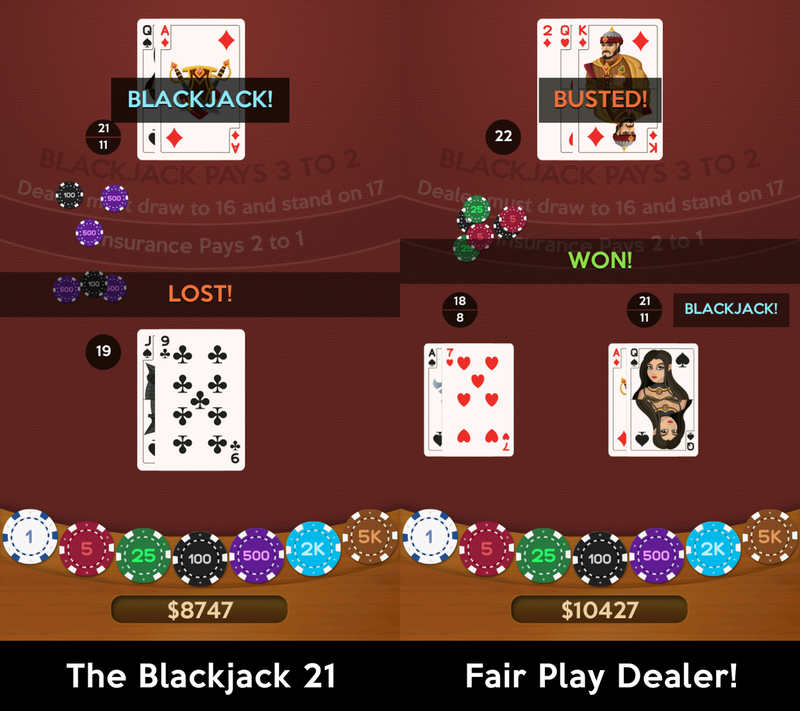 In "The Blackjack 21", the dealer must draw to 16 and stand on soft 17. Blackjack pays 3 to 2, and insurance pays 2 to 1. ★ FREE to Play and Offline with Endless gameplay! ★ Free Blackjack casino app with NO in-app purchases and without registration! 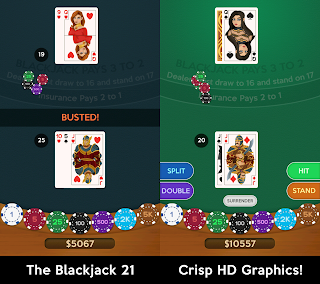 ★ Crisp HD graphics with beautifully animated cards! 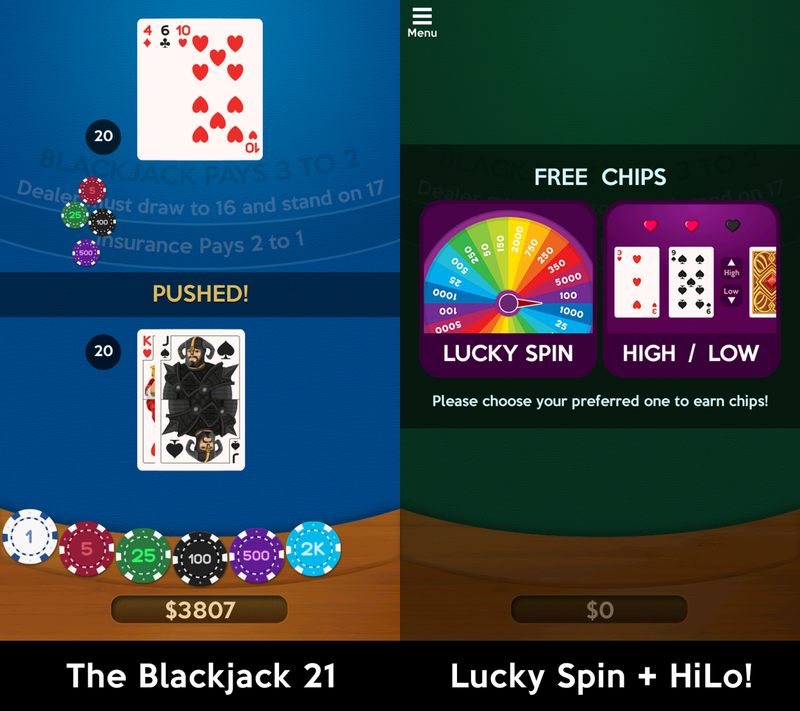 ★ Unlimited FREE Chips with Lucky Spin + High Low (HiLo) game modes! 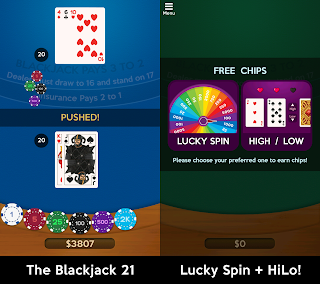 ★ Attractive interface which gives you the ability to touch and interact with each chip! ★ Double Down, Split, Insurance, and Surrender for an authentic Blackjack experience! ★ Autosaved chips. Keep your game progress and Continue later! ★ Refreshing audios with Sound on/off button! ★ Change background. Multiple casino table backdrops to choose from! Feeling lucky? 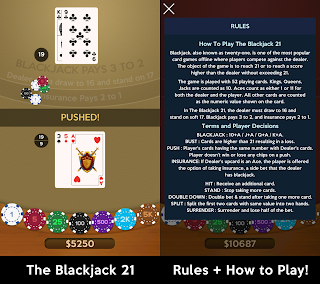 Give "The Blackjack 21" a try and you'll want to play the free playing cards games offline more. NO Real Money on this 21+ game! We love our Blackjack 21 free players so we made sure that you don't spend any money in our blackjack twentyone game to get more chips. 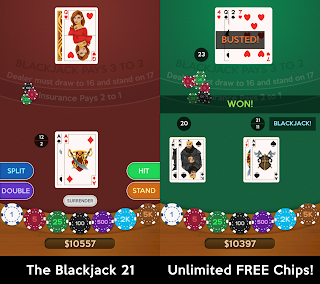 The Blackjack 21 is completely free to play and all the chips and money used in the game are fictitious. 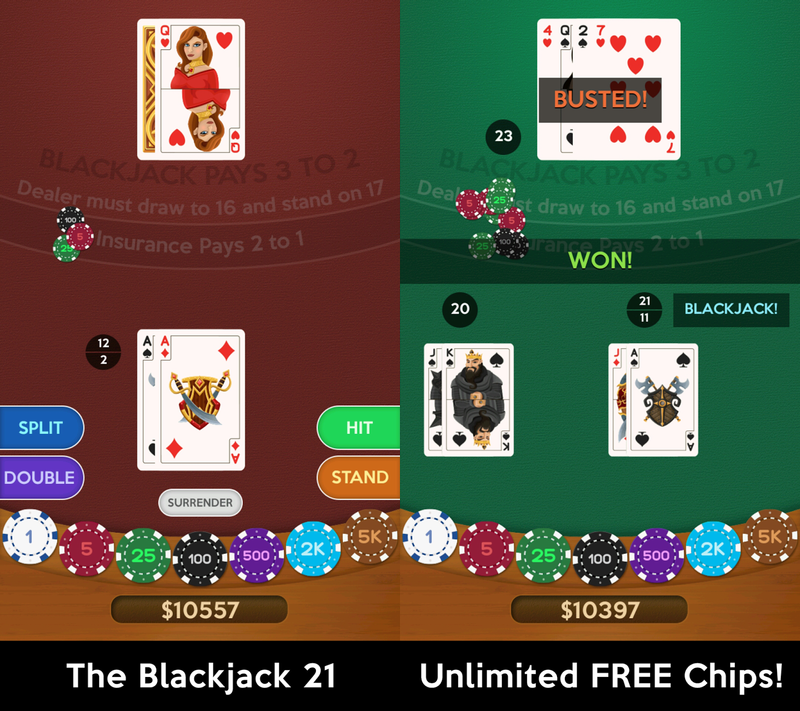 This free blackjack games app is intended for adult audiences (21+ game) and offers no possibility of winning money or anything of value. Success within this free blackjack 21 game does not imply future success in a similar real-money casino game. 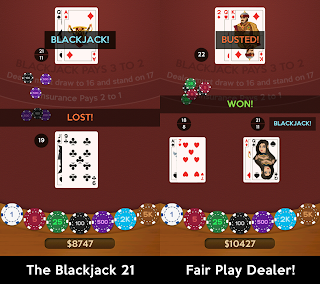 You can now download The Blackjack 21 from the official Google Play store. HWDOT is a developer and publisher of casual games for mobile including Pinkie Pom, ZEL, Flower 2048, 144 Blocks Puzzle, Lolly Pop Bubble Shooter, Pixel Zombie Sniper, 1001+ Emoji Puzzles, Color Queen! Flood Puzzle, Super 2048 Plus, and The Blackjack 21. We specialize in delivering free-to-play mobile games to markets around the world. For more information, please visit www.hwdot.com. 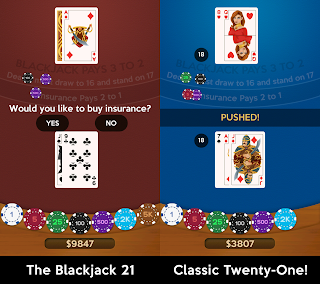 Title : The Blackjack 21, best classic Blackjack casino game released on Android! 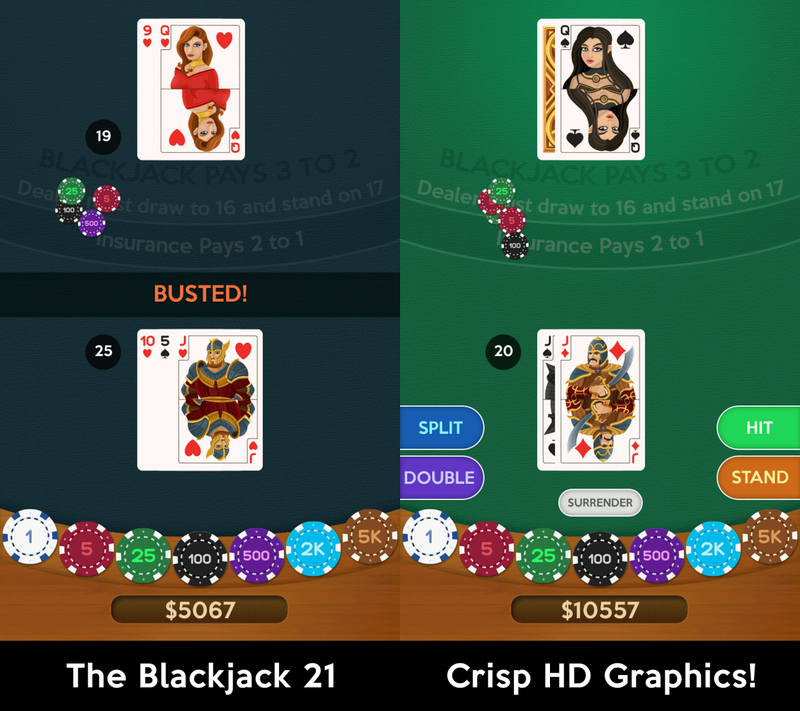 0 comments on "The Blackjack 21, best classic Blackjack casino game released on Android!"